I have always been passionate about sport and fitness. Throughout my life I have been a part of various sports teams including high level Hockey, Volleyball and Athletics. I am a qualified Football, Volleyball and Basketball Coach, and a BAWLA (British Amateur Weight Lifting Association) Instructor. Recently, I competed in the UK Bodybuilding and Fitness Federation (UKBFF) National Championships and won the Masters Ladies Body Fitness title! Read more about my journey and achievement, here. 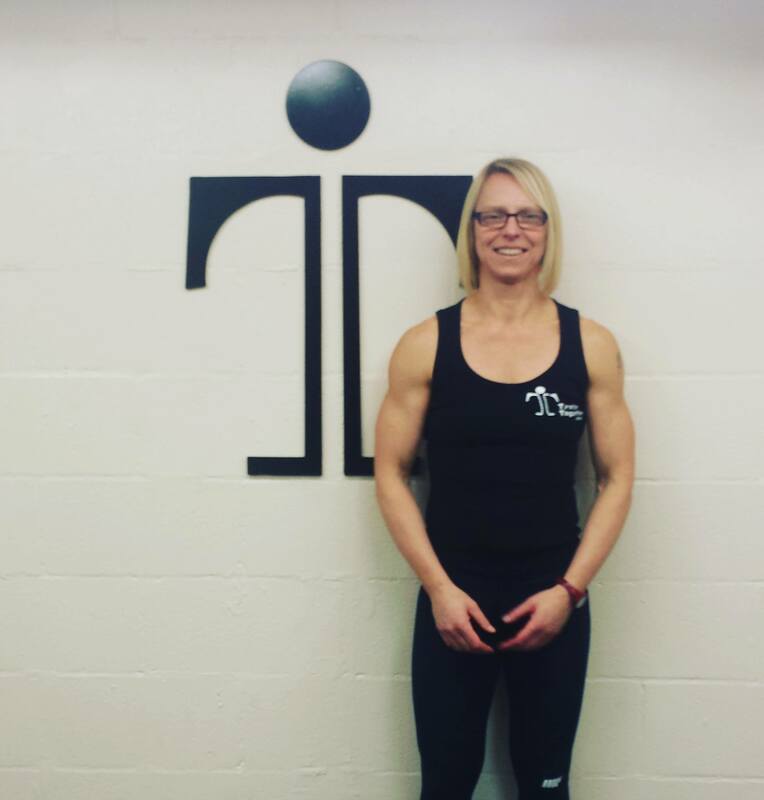 As a qualified Level 3 Personal Trainer and Exercise Referral, I love working closely with clients and witnessing the positive changes in their fitness and entire outlook on life. I specialise in strength training, weight loss and toning – and I am all about making sure that you see the results you deserve. As a Level 3 Diet and Nutrition Specialist, I analyse your eating habits and target those hidden ‘problem’ areas. I provide clients with new and exciting recipe alternatives so that they can continue to enjoy food (without the added guilt). I am keen to prove that exercising is fun. I offer a variety of training – from Lancaster canal runs (weather permitting!) to indoor weight circuits – what’s for certain is that you will leave every session feeling motivated, full of energy and much fitter. Alongside ensuring clients reach their fitness goals at our studio, I offer First Aid Training and Manual Handling Courses. In regards to First Aid, I am NUCO qualified. I also teach our fitness courses including Gym Instructing and Personal Training. It would be fantastic to hear from you! Get in touch with Sarah today!